Ask The Protein Powder Chef: Do You Have A Recipe For Protein Jell-O? Mass-maintaining BCAAs are an essential supplement for any bodybuilding aficionado, but chugging them down can get old, fast. Learn how to turn that powder into a tasty treat worth savoring. Hi, Protein Chef! 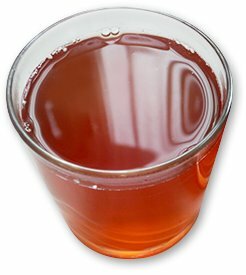 I know BCAAs are essential supps, but I'm tired of drinking what tastes like sugary Kool-Aid. Any ideas on how to turn this powder into a delicious dessert? If you're a gym regular looking to maximize the quality of your workouts and possibly shed some fat along the way, you're probably familiar with BCAAs. Just in case you're not, let's lay out the benefits. BCAAs are essential amino acids that include valine, leucine, and isoleucine. They're called "branched-chained" amino acids because their molecular structures are, well, branched. While that all sounds great, the real power behind BCAAs comes from their supporting role in helping build mass. According to Layne Norton, Ph.D.—who guest-posted this awesome Protein Brownie recipe at Protein Pow—BCAAs are especially helpful for maintaining muscle mass while on a calorie-deficit diet. He writes, "New studies have shown that dieting groups supplementing with BCAAs increase muscle retention and maximize fat loss much more effectively than non-supplemented groups." BCAAs are commonly consumed before, during, and after training. BCAAs are also often consumed by people who are fans of intermittent fasting. They're a great way to prevent muscle breakdown and stimulate protein synthesis when training in a fasted state. Clue 1: It's often featured in "diet" supplements—including protein powders—because of its fat-burning properties. Clue 2: It's an ingredient that many believe should be part of everyone's healthy diet. Clue 3: It's something you're bound to have in your cupboard. And, if you don't, you should. Clue 4: It's an ingredient that's been linked to a lot of "miraculous" claims; many of them are ridiculous, but several of them are backed by actual research. It's green tea. 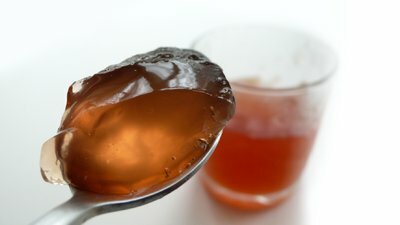 Combined with some BCAAs and gelatin, it makes a fine dessert jello. It's tasty, filling, rich in antioxidants, and delicious. It's an absolute power snack! It's great to munch on before or after your workout or on a rest day when delayed onset muscle soreness wreaks havoc on your ability to walk and you wish you lived in a world where you could get one of these. To change things up, try this with different varieties of green tea such as sencha, kukicha, houjicha, long jing, gyokuro, or my all-time favorite genmaicha. You can also use flavored green teas like jasmine green tea, mint green tea, and citrus, honey, or berry-flavored green teas.